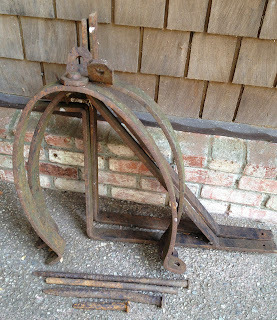 On finding these rusty pieces of metal at a yard sale my heart started to race. The nails were clearly from a mill. But were they local? 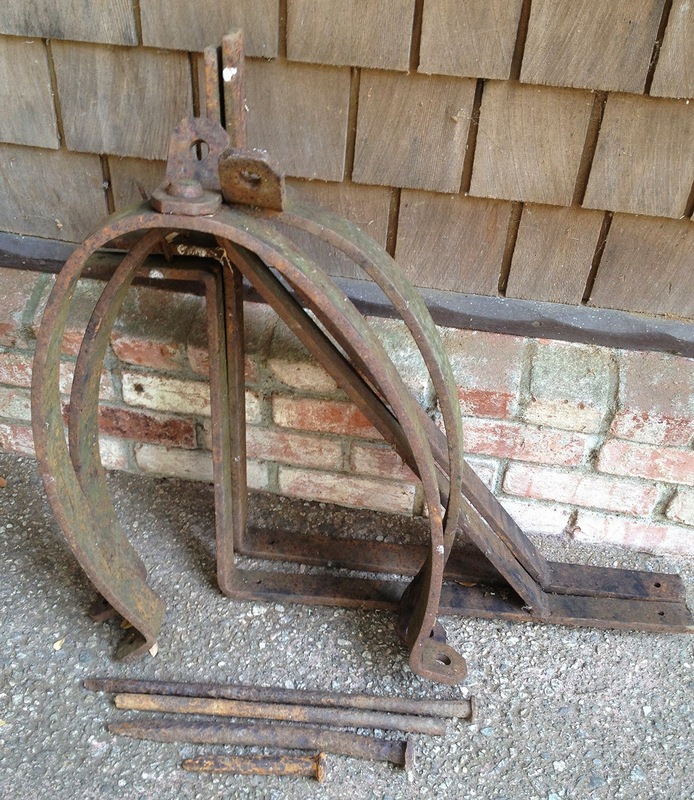 The parts all turned out to be from the Santa Cruz Lumber Co. Mill at Waterman Gap. Lovingly retrieved by their custodian and looking for a new home respectful of their historic past. Although the Museum does not have a budget for acquiring artifacts for the collection, these items are a part of our logging history, and passing them by seemed unconscionable. Pictured here are two flume braces (the U-shapes) from a flume that ushered redwood chips into an incinerator, two cat-walk braces (the L-shapes) that supported a walk that the men would walk along, two nails that would secure tall log piles, another use unknown, and a railroad spike. The next step will be to perform rust stabilization using a product called Evapo-Rust, a non-toxic rust remover. More history can be found about the Santa Cruz Lumber Company operations here.